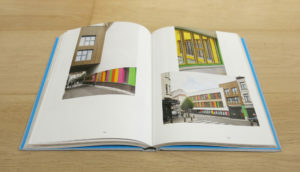 In the recent book "Brusselse scholen in beeld. Nederlandstalig onderwijs in Brussel", the Flemish Community Commission (Vlaamse Gemeenschapscommissie - VGC) gives an overview of all Dutch-speaking school infrastructures erected in Brussels during the period 2000-2018. Our school and sports project Site Van Oost in Schaerbeek, built following the principles of passive construction, is presented in a chapter especially dedicated to sustainable school projects. 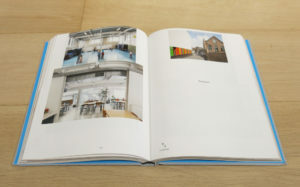 The book has been published by the publishing house Public Space, and illustrated with photographs of Stijn Bollaert.